017-dc-photographer-2006_1510-irene-abdou-photography.jpg | Irene Abdou Photography, LLC - Travel. Lifestyle. Documentary. NGOs, Development & Public Health. 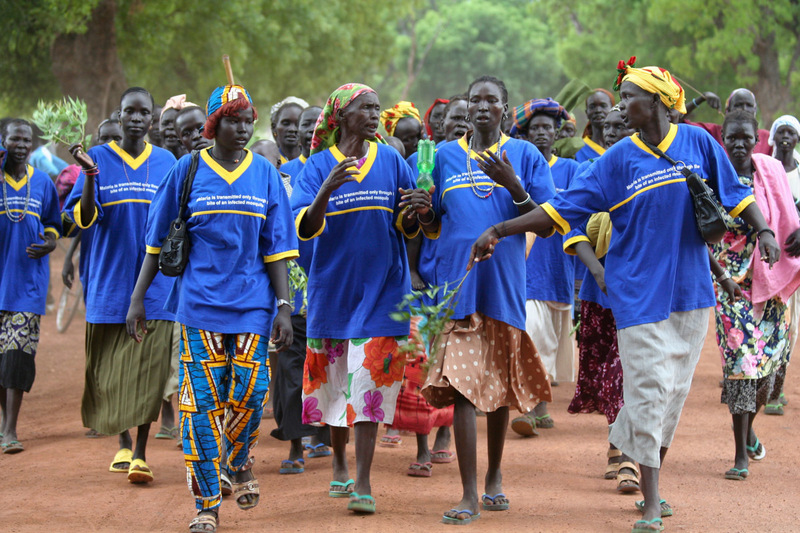 Supported by the international NGO, Population Services International (PSI), a women's group in Rumbek, South Sudan parades on Africa Malaria Day 2006 to raise awareness about malaria prevention. The women sport shirts stating, "Malaria is transmitted only through the bite of an infected mosquito."